Hi! I’m Tyler Wirken. I’m a husband, dad, and founder/lead photographer of Wirken Photography. I work hard to tell stories that matter, to capture family and friends and show why we do what we do. Good photography celebrates what truly matters. The right images help us remember, even after the party is over, the kids are grown, the people are gone. Documenting what’s important is a responsibility that I don’t take lightly. As a documentary photographer in Kansas City, I live by the KISS method and don’t rely on a bunch of fancy tech or fuss. Instead, I depend on my dad’s teachings and my background as a newspaper photojournalist. That training and experience taught me to be patient and wait for the shot, to embrace adversity, and problem solve on the fly. I capture real, raw, and candid unposed moments instead of creating them. Real life is beautiful – it doesn’t need to be staged. I learned to build photos from my dad. He’s not a photographer, but he knows how to build. I grew up working on cars with him. He taught me that “any job worth doing is worth doing right”. He made me a perfectionist and taught me how to embrace a challenge and enjoy it. 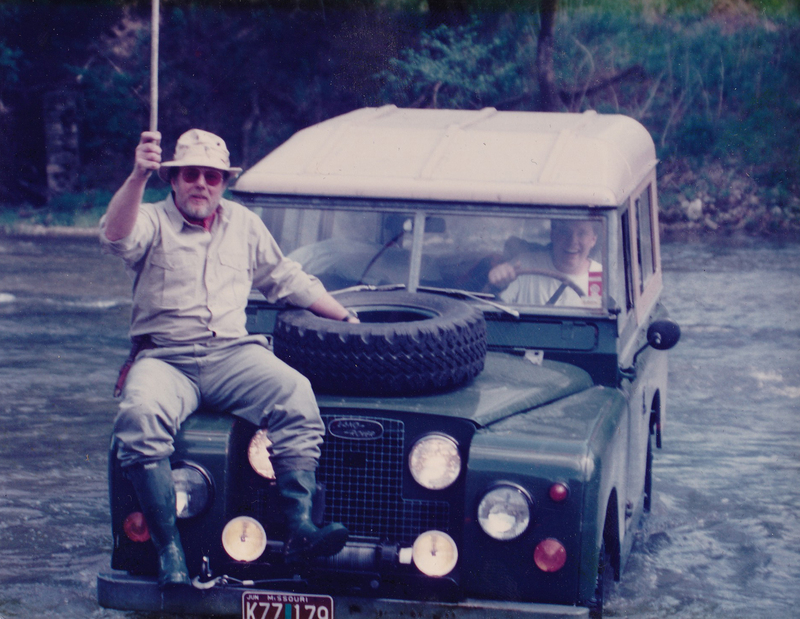 There’s nothing like tinkering with a vintage Land Rover to help you problem solve and look at a task in a new way. These are the things that have enabled me to become the documentary photographer I am today. I was 16 and that Land Rover was my first car. Our trail rides taught me to be flexible and go with the flow. We had the most fun when things didn’t go according to plan. Photography is like that, too. Some of the best images are surprises. You just have to watch and wait for them. That Land Rover is still in my garage today. It’s timeless and unpretentious – like great photography. Tyler Wirken is an award winning documentary photographer in Kansas City, Chicago, and St. Louis. His reputation has been created from his unique unposed and real life approach to photography. This signature approach allows him to create photographs from weddings, commercial work, families, and much more that truly lend themselves to real life.